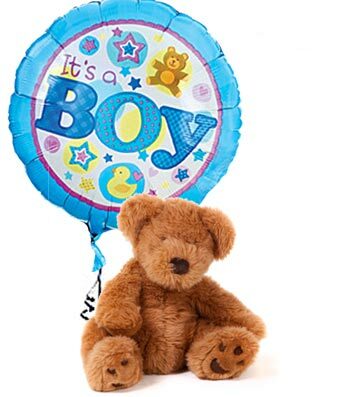 t's a boy, Send this cuddly bear with a colorful baby boy Mylar attached. Choose from the add-ons below to make this gift even more special. Delivered by a local florist with care and thought.